​The Blue Zones are five places in the world where people live the longest. ​​Learn their 9 secrets to longevity and how you can mimic them and live a long and healthy life. The Blue Zones are five places in the world where people live the longest. ​​Learn their 9 secrets to longevity and how you can mimic them and live a long and healthy life. Dan Buettner is the author of the book The Blue Zones. Together with a team of demographers and researchers, he looked for people that lived the longest. His team circled the globe and made several trips to five Blue Zones and met the people who lived there. In each place, they confirmed that people were as old as they said they were. He interviewed dozens of centenarians and worked with local medical experts. Dan studied each of the local lifestyles, habits, and practices. Each Blue Zone had their recipe for longevity, but many shared the same nine traits. In this blog post, you’re going to learn more about these Blue Zones and how they live. Then I’m going to reveal the nine lessons that we can learn from them. First, you’re going to hear about a Blue Zone on a small island off the coast of Italy. Sardinia is an Italian island in the Mediterranean sea west of the Italian mainland. It has an area of about 24,100 km2 (9,305 sq mi) and is the second largest island in the Mediterranian sea. This island has exceptional longevity. The residents of this area keep a traditional, healthy lifestyle. Sardinians still hunt, fish and harvest the food they eat. They remain close to friends and family throughout their lives. The classic Sardinian diet consists of whole-grain bread, beans, garden vegetables, and fruits. Meat is unusual and only served on Sundays or special occasions. Sardinia has strong family values. They take care of each family member and assures that everyone feels safe. Grandparents provide love, childcare, financial help, and wisdom to their offspring. This closeness may all add up to a healthier, better adjusted, and longer-lived children. Sardinians also walk five miles a day which has a positive effect on muscle and bone metabolism. They also drink their local wine which has three times more flavonoids than other wines. Moderate wine consumption may help explain the lower levels of stress among men. Sardinians often gather in the street each afternoon to enjoy each other's company and laugh. Laughter reduces stress, which can lower one’s risk of cardiovascular disease. Another island known for its longevity is Okinawa in Japan. Okinawa is one of the 47 prefectures of Japan and is a chain of islands far to the south-west of Kyushu. The name Okinawa means "rope in the open sea." Okinawa has a subtropical/tropical climate. During the second world war, The US army fought a long and bloody battle to capture Okinawa. About 95,000 Japanese army troops and 12,510 Americans died during the war. Okinawa is famous for its longevity and was once called the land of immortals. Okinawans have less cancer, heart disease and dementia than Americans. Their women live the longest in the world. One of their greatest secrets is a strong dedication to friends and family. They maintain a robust social network called a “moai.” It is a lifelong circle of friends that support people well into old age. These safety nets lend financial and emotional support in times of need. This social network reduces stress and makes them feel cared for. Okinawans also have a strong sense of purpose in life, that they call “ikigai.” Older Okinawans always know why they get up in the morning. Okinawans have eaten a plant-based diet most of their lives. Their meals consist of stir-fried vegetables, sweet potatoes, and tofu. About 90% of their food is plant-based. Most of the calories come from purple and orange sweet potatoes. Each part of either fish, meat, dairy, and eggs is less than 1% of the diet. They eat small portions of pork only on special occasions. Almost all Okinawan centenarians grow or once grew a garden. Okinawan elders eat until they are 80% full which restricts overeating. They also spend time in the sun each day and get optimal vitamin D levels year-round. Unfortunately, fast food and Western styles of eating have made it to the island. Younger generations don't reap the health benefits of eating the traditional Okinawan way. Another Blue Zone in the world is Loma Linda in California. Loma Linda is Spanish for "beautiful hill." It is a city in San Bernardino County, California, in the United States. The Seventh-day Adventist church has a significant presence in this city. This church views health as a central part of its faith. Today, a community of about 9,000 Adventists in the Loma Linda area is the core of America’s Blue Zone region. They live as much as a decade longer than the rest of us. Much of their longevity is because of their vegetarian lifestyle and regular exercise. Adventists don’t smoke or drink alcohol. Many Adventists follow a vegetarian diet. They eat fruits, vegetables, whole grains, and nuts that protect them from cancer. For those who prefer to eat some meat, Adventists recommend small portions served only as a side dish. Adventists also take a weekly break from the stress of life during the 24-hour Sabbath. They use this time to focus on family, God, friendships, and nature. Adventists claim this relieves their stress, strengthens social networks, and provides consistent exercise. Like many faiths, the Seventh-day Adventist Church encourages its members to volunteer. Service gives the members a sense of purpose in life. Nicoya in Costa Rica is another Blue Zone in the world. Nicoya is a peninsula on the Pacific coast of Costa Rica. It is famous for its beaches and is a popular tourist destination. One key to their longevity is their strong purpose in life. It keeps the elders positive and active. Another key to their success is a focus on family and an exceptional ability to listen and laugh. Nicoyan centenarians visit neighbors often. They also tend to live with their children or grandchildren. Their families support them and give them a sense of purpose. Nicoyan elders consume little to no processed foods. They eat a plant-based diet for the most part. Staples include beans, corn, vegetables, and tropical fruits. They eat meat only a few times per week. Nicoyans eat their main meal earlier in the day, and a light dinner early in the evening. Centenarians find joy in everyday physical chores and get a good exposure to sunlight. Icaria in Greece is the last Blue Zone on this list. I​karia is a Greek island in the Aegean Sea. It derived its name from Icarus, the son of Daedalus in Greek mythology. According to the tradition, he fell into the sea nearby. Ikaria has a tradition of producing strong red wine. This tiny island has a rocky history. Invasions from Persians, Romans, and Turks forced its residents inland from the coasts. As a result, they have an isolated culture rich in tradition, family values and longevity. Today, one in three of its habitats make it to their 90s. A combination of factors explains it. They enjoy strong red wine, and a relaxed pace of life. The longest-lived Ikarians exercise by walking to their neighbors or doing gardening. Ikarians eat a variation of the Mediterranean diet. Their food consists of fruits, vegetables, whole grains, beans, potatoes and olive oil. Ikarians are Greek Orthodox Christians and fast several times a year. The family and their social connections are essential in Ikaria. This connectedness gives them a sense of security. So what are the key things that these Blue Zones do to live long and healthy lives? These are the lessons that Dan Buettner learned from these populations. One habit the Blue Zones shared was their daily exercise. The Blue Zones engage in regular, low-intensity physical activity. These activities are often a part of a daily work routine. Male centenarians in Sardinia’s Blue Zone worked most of their lives as shepherds. This profession involves miles of hiking every day. Okinawans garden for hours each day and grow their food. Adventists like to take nature walks. Regular exercise is good for your health and reduces your risk of cancer. Try to do physical activities you enjoy. Rather than exercising for the sake of exercising, make your lifestyle active. Ride a bicycle instead of driving. Walk to the store. At work, take the stairs. 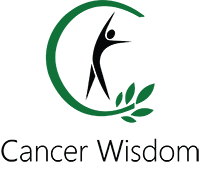 Download 20 Easy Exercises For Cancer Patients. ​Learn 20 light exercises for cancer patients. ​Another lesson we can learn from the Blue Zones is not to overeat. Okinawan elders eat until they are 80% full. They call this "hara hachi bu." Their average daily caloric intake is only about 1,900 calories. Sardinians ate a similar lean diet of around 2,000 calories a day. Okinawans stop to eat as soon as they no longer feel hungry. For most of us, the solution is to eat enough so that we’re no longer hungry, but not so much that we’re full. Food volume is only one part of the equation. The other is calories. Americans eat more calories before they feel full compared to Okinawans. A Big Mac, with large fries and a huge soda carries about 1,200 calories. The Okinawan meal has one-fifth of the caloric density compared to the American diet. Vegetables have much fewer calories in volume than animal products. A gram of fat contains 9 calories and vegetables hold 4 calories per gram. So if you eat plants with a lot of starch, you feel full on fewer calories. The fiber in vegetables is also vital for a healthy bowel movement. Learn to recognize when you have enough on your plate to fill your stomach 80%. Buy smaller plates, so you don't overeat. Avoid eating animal products, cookies and food containing a lot of fat.Eat a low-fat whole food plant-based diet. Center your intake around starch, vegetables, and fruits. Remind yourself not to overeat. Put the scale in your way so you can’t avoid a daily weigh-in. Take your time when you eat and don't rush it. Allow yourself to sense and enjoy your food. Eat in the kitchen without watching TV or using your smartphone. And don't eat in a rush. One thing that all Blue Zones have in common is their plant-based diet. The diet in the Blue Zones is for the most part plant-based. Some of these Blue Zones rarely have meat. At most, they eat meat once a week or at special occasions. Meat is more like a side dish and not the main source of their diet as in the west. Strict Adventists avoid meat entirely. Most centenarians never had the chance to eat processed foods. Traditional Sardinians, Nicoyans, and Okinawans ate what they produced in their gardens. All Blue Zones eat a primary starch-based diet.In Okinawa, 69% of their calories come from sweet potatoes. Sardinian shepherds take semolina flatbread into the pastures with them. Nicoyans eat corn tortillas at every meal. And whole grain is part of the Adventist diet. Beans, whole grains, and garden vegetables are the cornerstones of these diets. Try these tips to incorporate more plants into your diet. Blue Zone diets always include at least two vegetables at each meal.The centenarians in the Blue Zones consume limited quantities of meat. Avoid animal products and eat a low-fat, high carb diet. There are three macronutrients in food, carbohydrates, fats, and protein. The optimal ratio of these three macronutrients should be 80% carbs, 10% protein and 10% fats. So how do you keep this proportion? Easy, by concentrating your food on vegetables, fruits, grains, and beans. Reduce your intake of fatty foods like nuts, seeds, and avocado. Put a beautiful fruit bowl in the middle of your kitchen table to encourage you to be healthy. Throw away all animal products and unhealthy foods. Grow vegetables as the Blue Zones did to ripe more benefits from your food. ​Drinking red wine was another common trait in the Blue Zones. In Sardinia, they drink a glass of dark red wine with each meal and whenever friends meet. They share a toast with glasses of their local wine Cannonau. It is a red wine that has higher concentrations of polyphenols. Drinking red wine may lead to lower rates of heart disease. But alcohol use has also shown to increase the risk of breast cancer. Wine does appear to reduce stress and the damaging effects of chronic inflammation. Drinking wine may be a healthy in moderation if you're already healthy. But you should avoid it if you have cancer. If you don't have cancer then drinking a Cannonau in moderation may be beneficial. But if you have cancer then you should avoid it. ​A higher purpose in life is the next secret to longevity. The strong sense of purpose may act as a buffer against stress. Centenarians do something they enjoy every day. In the world, most of us work at stressful jobs we don’t like. Stress is toxic to the body. Individuals who have a clear goal in life live longer. A sense of purpose may come from something as simple as seeing your grandchildren grow up. Or you can find meaning in a business, a hobby or helping others. One way to find a purpose in life is to create a personal mission statement. Why do you get up in the morning? What are you passionate about? How do you enjoy using your talents? What is important to you? Share your mission statement along with a plan for realizing it to a friend or family member. Take up a musical instrument, learn a new language or a new skill. ​Another lesson we can learn from The Blue Zones is to relax more. Nicoyans take a break every afternoon to rest and socialize with friends. For Adventists, the Saturday Sabbath is part of their faith. The Sabbath can be a potent stress reliever. From sunset Friday to Saturday evening, Adventists focus on God, their families, and nature. They don’t work. Kids don’t play organized sports or do homework. Instead, families do things together, such as hiking. These activities bring them together and make them feel closer to God. For the Adventists, it’s a time to rest and recharge. In the Western world, we spend most of our time on accomplishments, status, and material gain. Our society encourages hard work and being productive. That is why it is hard for people to relax and do nothing. We feel ashamed if we are not active. In our society, we work at least 40 hours per week and have other responsibilities that make it hard to rest. In America, they get only two weeks of vacation each year. Karoshi involves employees who have heart failures or strokes because of too much work. Or the word also describes a person that commits suicide because of overwork. 31-year-old Miwa Sado worked for the Japanese news network NHK. She logged 159 overtime hours in one month before she died of heart failure in July 2013. Matsuri Takahashi, a 24-year-old employee, committed suicide on Christmas Day 2015. The reason she took her life was that she worked 105 hours extra in one month. Few cultural institutions exist to encourage us to slow down, unwind, and de-stress. Finding time for our spiritual side can create a space to slow down. Practices like yoga and meditation can inspire you to take it easier. Self-reflection provides us with a mechanism to step out of the self-focus and find true freedom. Create a space in your home that is quiet and where you can meditate. Establish a regular meditation schedule, and try to meditate every day no matter what. Start with 10 minutes a day, and try to work up to 30 minutes a day. Light a candle in a room to create a calm environment. Take a warm bath, walk in nature, or pray. Learn to do EFT or other relaxation techniques to lessen your anxiety. Minimizing time spent with television, radio, and the Internet also reduce stress. Rid your home of as many TVs and radios as possible, or limit them to one room. ​​Prioritize your daily tasks and learn how to say no without guilt. ​Another secret the Blue Zones share is being part of a spiritual community. Healthy centenarians everywhere have faith. The Sardinians and Nicoyans are for the most part Catholic. Okinawans have a blended religion that stresses ancestor worship. Loma Linda centenarians are Seventh-day Adventists. The simple act of devotion seems to improve your chances of having more good years. Spiritual people have lower rates of heart disease, depression, stress, and suicide. They are healthier and happier. People who attend church are less likely to engage in harmful behaviors. Religious people are more active, less likely to smoke, do drugs, or drink than those without faith. Belonging to a spiritual community can foster larger and denser social networks. If you’re already religious, then get more involved in your church activities. It doesn’t matter if you are Muslim, Christian, Jewish, Buddhist, or Hindu. Engage in activities like singing in the choir or volunteering. If you don’t want to follow a particular dogma, then learn more about spirituality. One book that you can read is The Power Of Now by Eckhart Tolle. This book deals with the ego and how to live in the present moment. If you want to delve more into spirituality, then I recommend that you go to a Vipassana 10-day meditation workshop. For about ten days you’ll meditate for about ten hours per day in complete silence. This workshop can be intense if you’re new to meditation, ​but you’ll feel lighter and more relaxed afterward. Schedule an hour a week for the next two months to attend religious services or spiritual groups. ​The next step to prolong your life is to focus more time on your family. In the Blue Zones family comes first. The grandparents meet their children and grandchildren often. This bond creates a sense of security. In the west, we put our parents in an old home, but in the Blue Zones, they take care of their elders. The Okinawan sense of family even transcends this life. By the time centenarians become centenarians their children reciprocate their love and care. Their children check up on their parents. The younger generation also welcomes the older generation into their homes. Investing in our children when they are young helps assure they’ll invest in us when we’re old. Seniors who live with their families stay sharper longer than those who live alone or in a nursing home. Western countries are trending in the opposite direction. Working parents have less time for their kids. Everyone's schedule becomes more and more packed with things to do. Psychotherapists discovered that the first years with our parents is the most important. If we don’t have a good bond with our parents, ​we can get problems in our future relationships. An infant needs to develop a relationship with at least one primary caregiver. This bond is crucial to the child's successful social and emotional development. In America, they put their children in daycare when they are only a couple of months old. For children to mature and feel secure, they need to be around their parents for at least two years. ​We traumatize our children when we put them in daycare before they are two years old. For some people getting children is a status symbol, not a real desire. Our world focuses more attention on a good career and less on the family. In Sweden, it's not uncommon to only visit relatives during Christmas, weddings or funerals. Consider living in a smaller house to create an environment of togetherness. If you live in a large home, establish one room where family members gather daily. Children thrive on rituals. Make one family meal a day sacred. Establish a tradition for a family vacation. Have dinner with Grandma every Tuesday night. Make a point to celebrate holidays. In Okinawan homes, they always display pictures of their ancestors in the best room in the house. It serves as a constant reminder that we’re not alone but connected to something bigger. Pick a wall to display pictures of your parents and children. Or take annual family pictures and show them in progression. Invest time and energy in your children, your spouse, and your parents. Play with your children, nurture your marriage, and honor your parents. If you have terrible relationship with your family, then learn how to forgive them in the link below. ​So now you have come to the last lesson on living a long and healthy life. Social connectedness is an integral part of the Blue Zones. Okinawans have "moais," groups of people who stick together with them their whole lives. It’s much easier to adopt good habits when everyone around you is already practicing them. Therefore it is important to find activities that you enjoy and share them with others. In this way, you have a higher purpose and feel more secure. Women's superior social support network is one of the reasons that women may live longer than men. They engage with and help others and are more willing to express their feelings. Men are often afraid of showing their vulnerable side and can't release this toxic energy. Go through your address book or your contact list of friends. What friend supports your healthy habits and challenge you mentally? Which ones can you rely on in case of need? If you, for example, want to eat a healthy vegan diet then find friends or other people that share the same goal. Meet up often and encourage each other. If you don't know such people, then join support groups. Spend at least 30 minutes a day with members of your inner circle. Establish a regular time to meet or share a meal together. Take a daily walk. Building a strong friendship requires some effort. But this investment will pay you back in added years. ​There are five places in the world where people live the longest, called the Blue Zones. Their strategies for a long life ​include exercising every day and not overeating. They also eat a plant-based diet, have a purpose in life and relax every day. Some Blue Zones also drink their local red wine every day. ​All Blue Zones also spend a lot of time with their friends or tribes. There are five places in the world where people live the longest, called the Blue Zones. ​​Try to improve your diet. Focus more time on your family and friends and learn how to relax. Find a purpose in your life and belong to a spiritual community. ​​​Focus on one ​thing at a time. ​​I've created a document with the 9 lessons from this blog post so you can read it wherever you are. Try to improve your diet. Focus more time on your family and friends and learn how to relax. Find a purpose in your life and belong to a spiritual community.